TIMMONSVILLE, S.C. (WPDE) — Honda of South Carolina in Timmonsville announced Wednesday the start of a mass production of the all new Talon sport side-by-side. 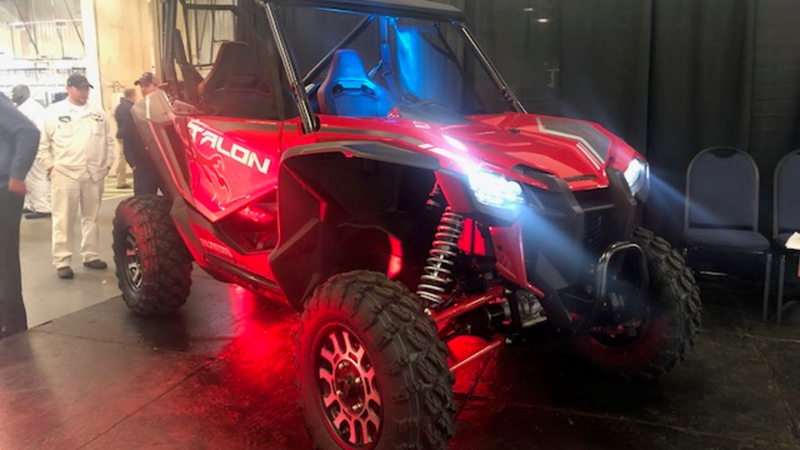 A news release says the Talon highlights the skill and dedication of the engineers at Honda R&D Americas, Inc. in Ohio, who developed the Honda Talon and the experienced workforce who build it at Honda of South Carolina Manufacturing. Honda of South Carolina has been based in Timmonsville for the past 20 years. The plant opened in Timmonsville on July 1, 1998, and began production of the four-wheeled Honda FourTrax ATV model line. In 2000, operations expanded to add engine production to the plant. The plant’s production line has the capacity to manufacture a quarter-of-a-million vehicles and 310,000 engines per year, according to the company. Honda operates nine manufacturing facilities in the US. The company is one of the largest employers in Florence County with 960 workers. Honda of South Carolina expanded in 2014 with production of the Honda Pioneer at the plant. That $27 million expansion created 65 new jobs, according to Honda officials. In 2018, Honda of South Carolina completes a $45 million expansion project that added 250 new jobs and a 115,000 square-feet of space. Honda employs 1,000 associates at its Timmonsville plant. The 947,000 square-foot facility represents a $400 million in investment to Florence County. The team is real plant currently has the annual capacity to manufacture 100,000 Honda ATVs and 100,000 side-by-sides for North American and global markets.